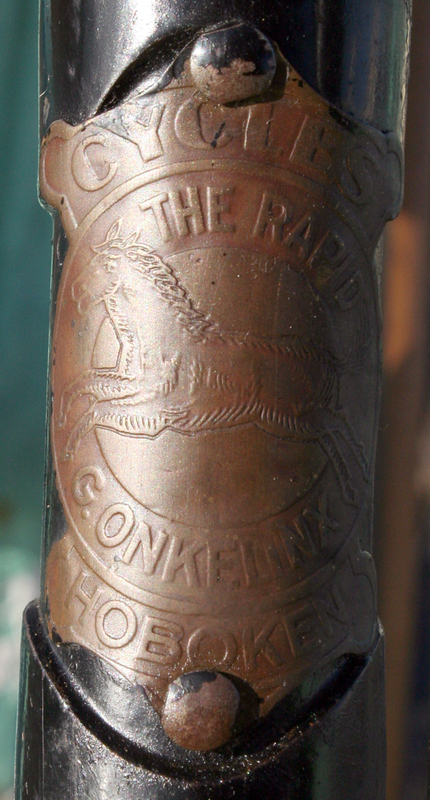 This is a rare surviving example of the FN ‘Rapid’. 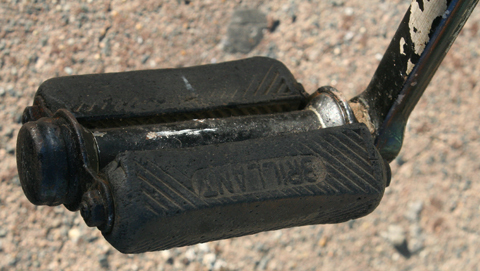 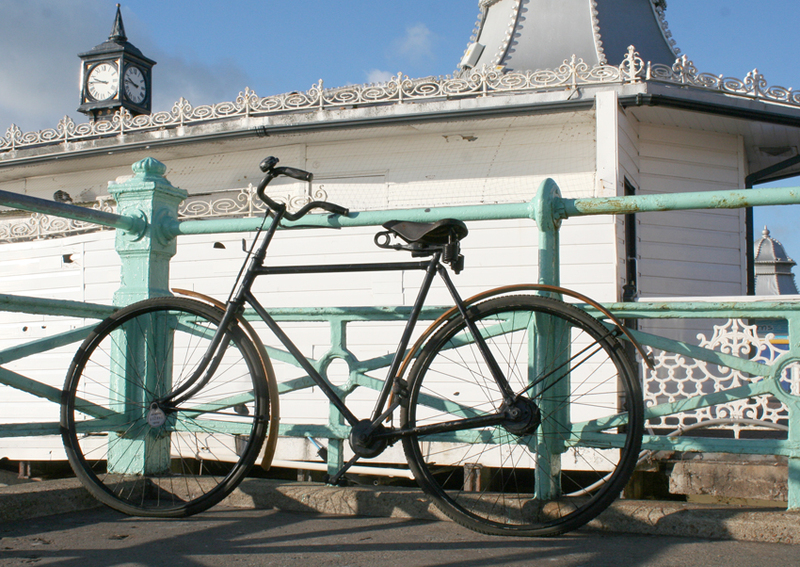 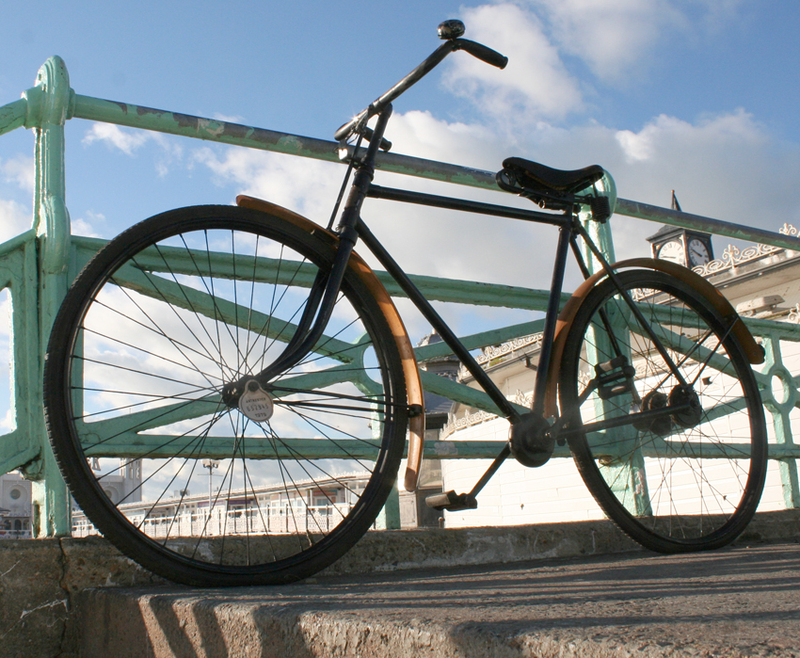 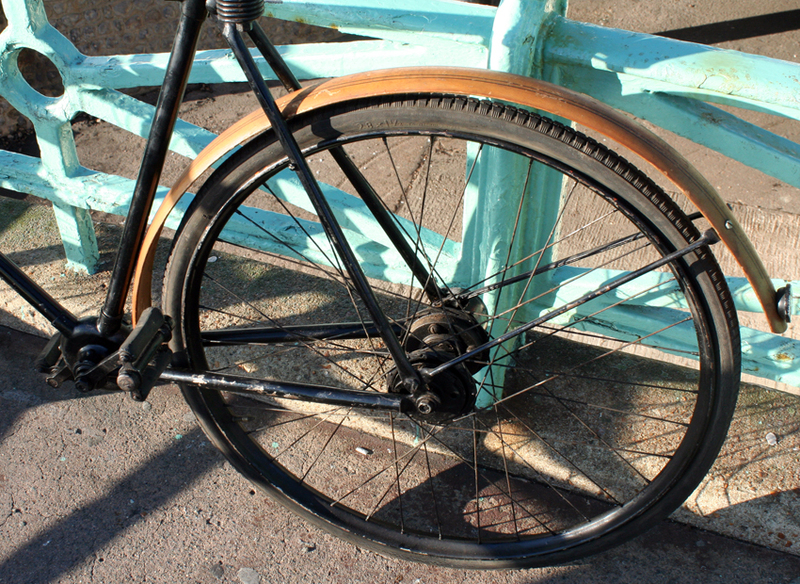 It’s in good unrestored functional condition, its only negative point being a missing gear cover over the rear hub (a home-made cover has been fitted). 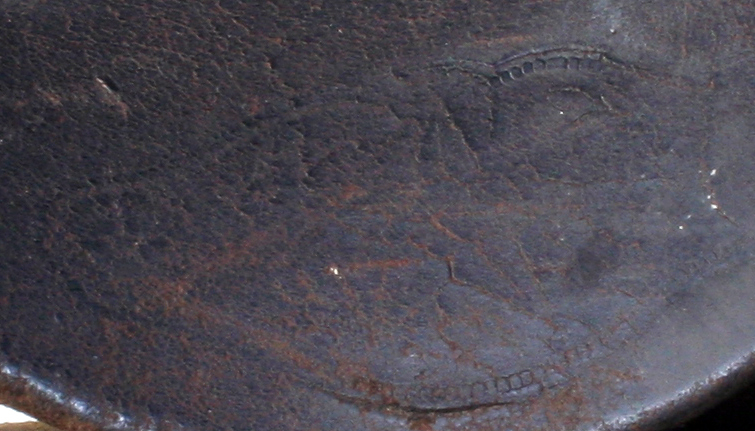 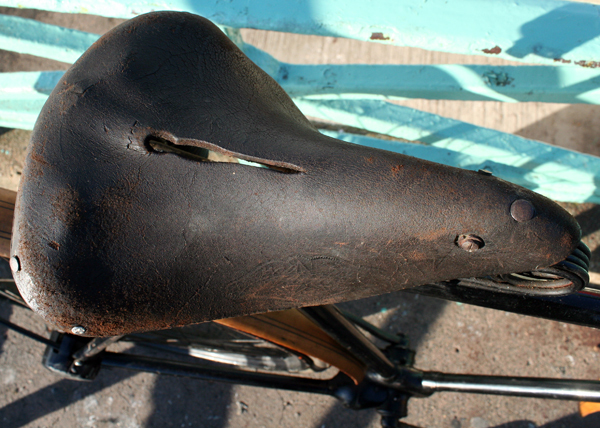 The FN name on the sides of the saddle are worn, but you can still just about see them. 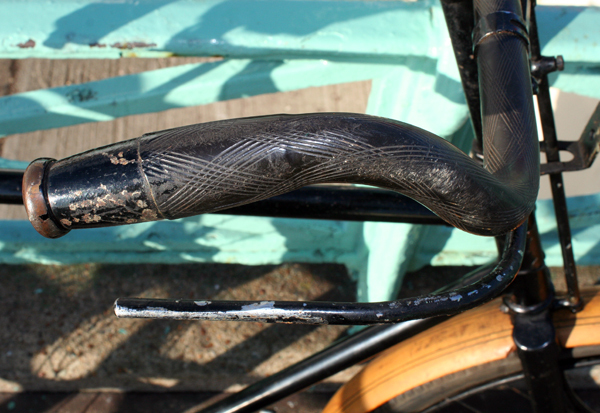 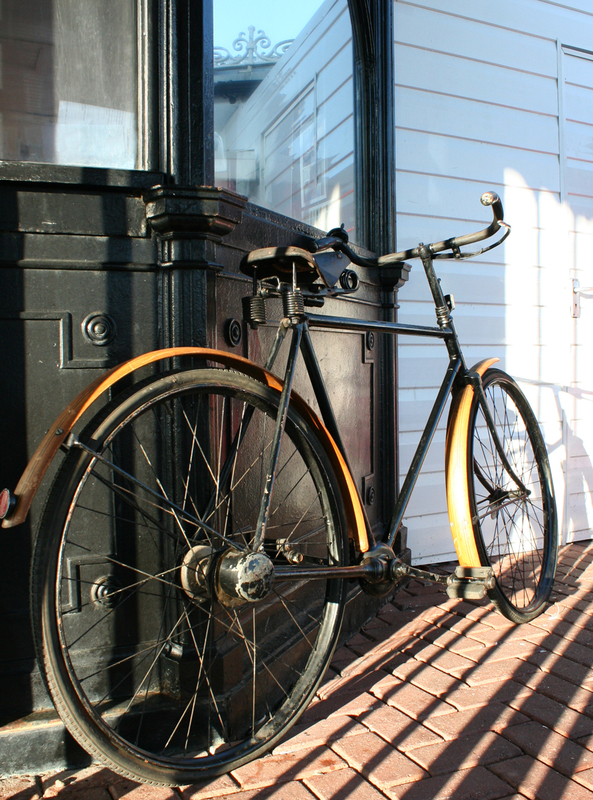 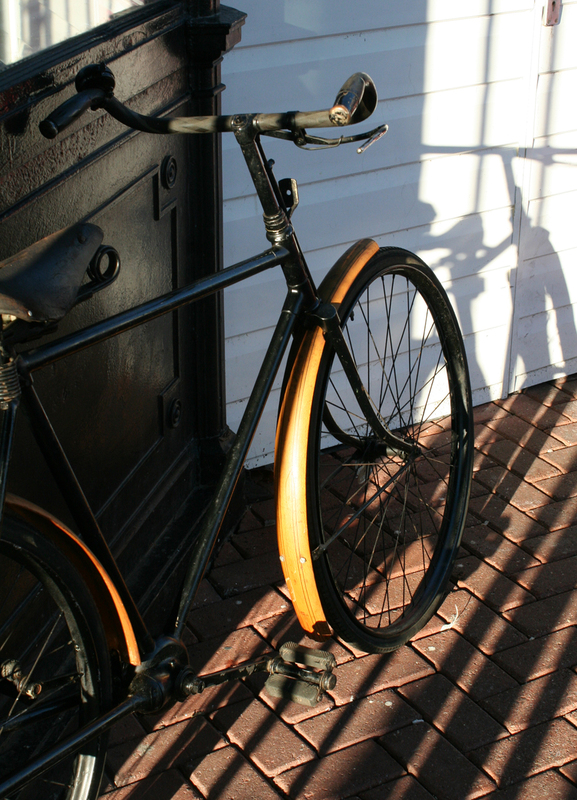 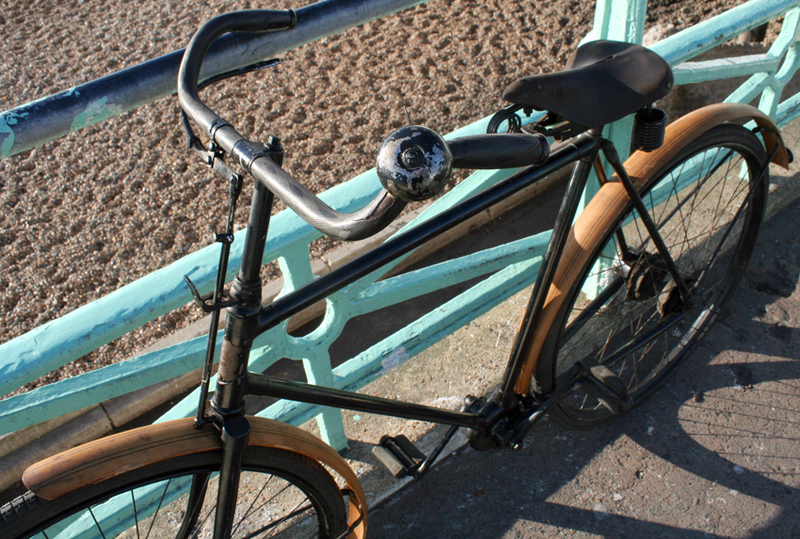 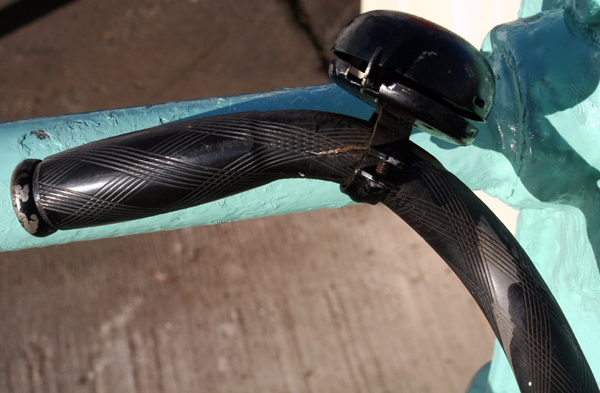 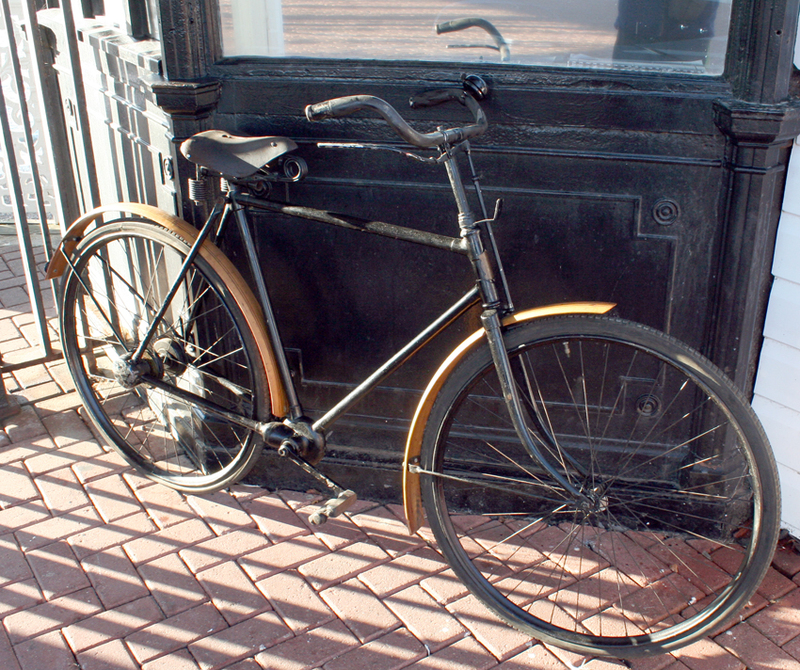 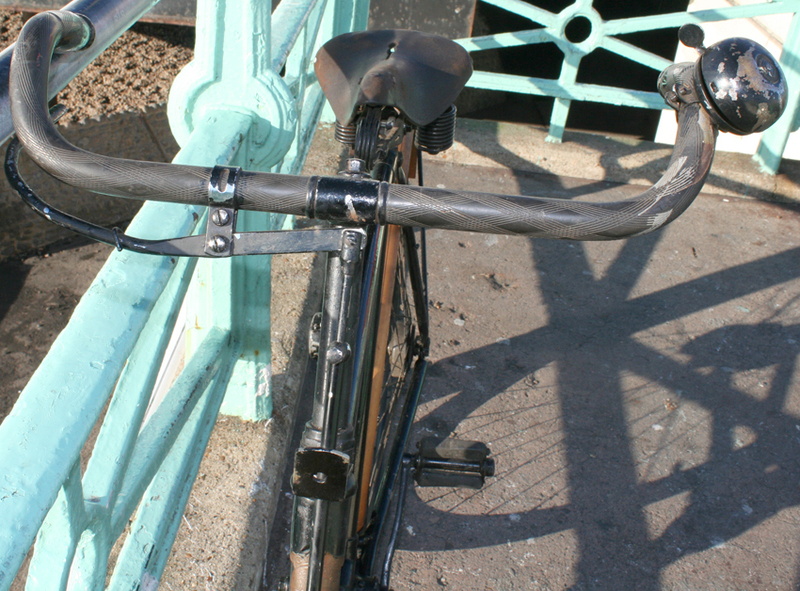 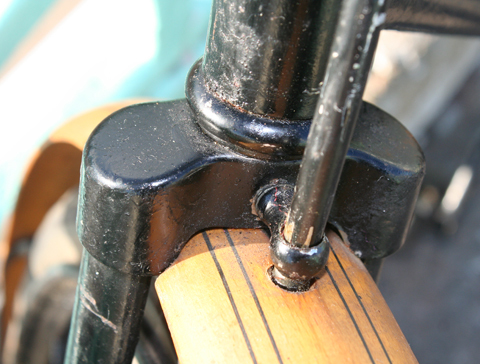 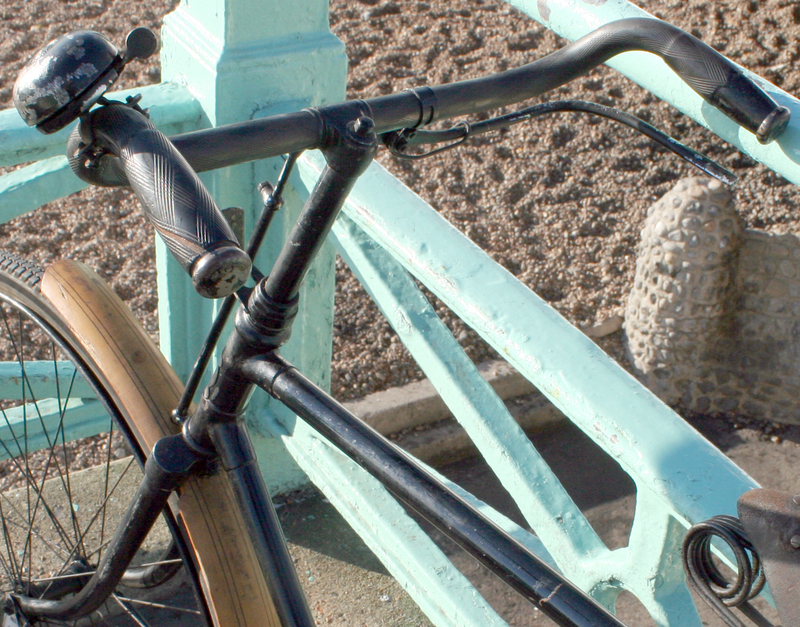 The wooden mudguards and celluloid handlebar are charming accessories, typical of Dutch bicycles of the era. 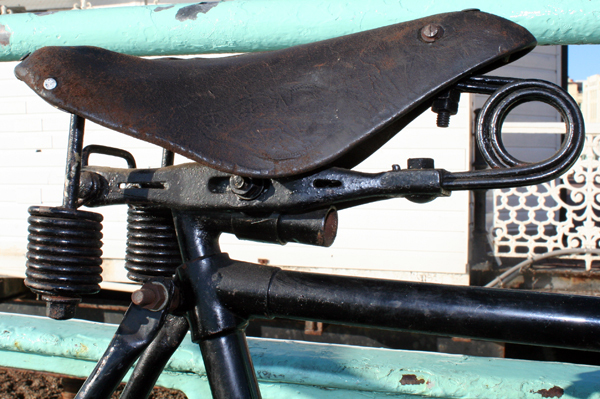 It’s ready to ride. 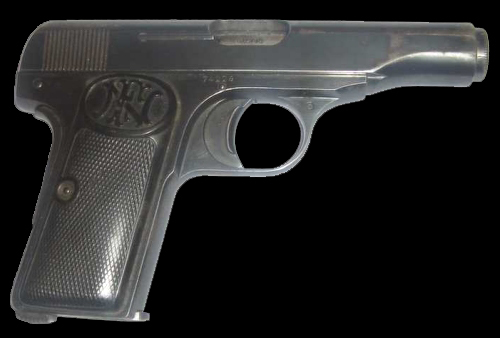 FN Herstal soon expanded its production to include civilian arms, especially hunting rifles. 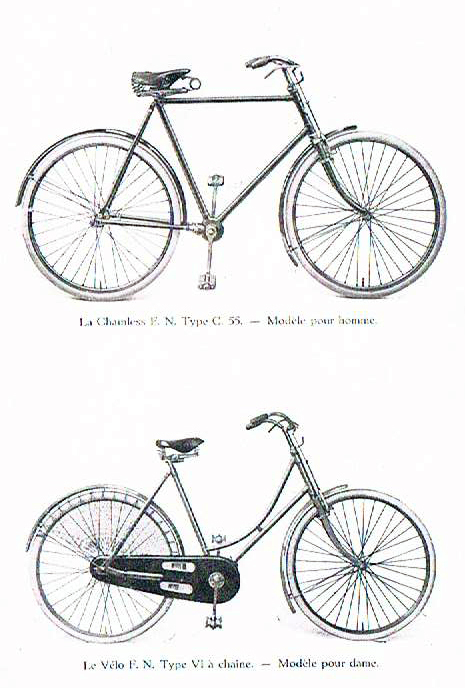 By the mid-1890s, the company began seeking other production areas, and in 1896 the company launched production of its own line of bicycles, including its own ‘acatene’ or chainless bicycle designs. 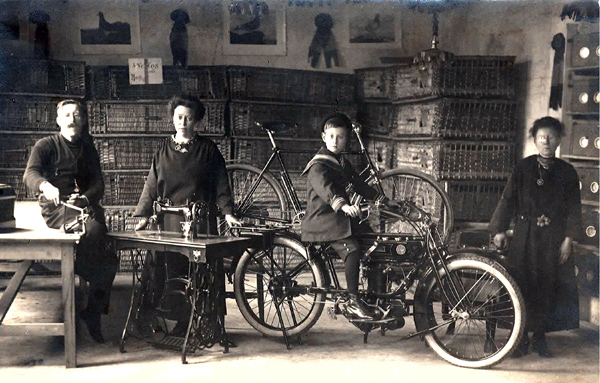 The company would remain a popular producer of bicycles for some 30 years. 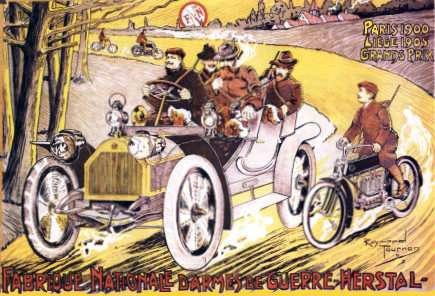 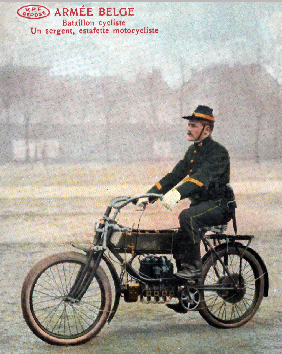 From bicycles, FN Herstal entered the young automotive market, producing its first car in 1900 and its first motorcycle two years later. 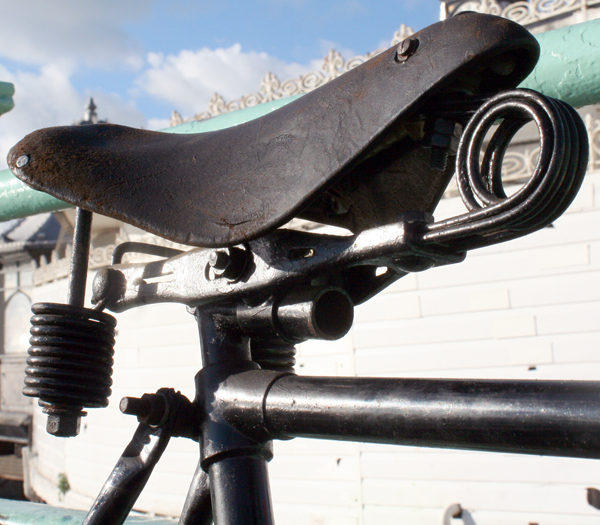 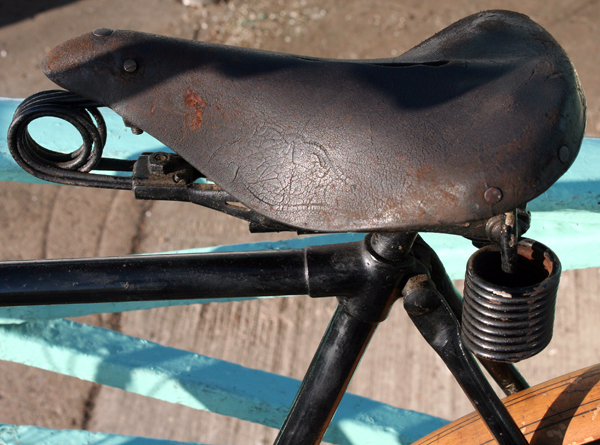 The FN saddle is in good condition …except that, after a hundred years of use, the FN name and motif has worn off the sides.